There are many different ways to sew a walker tote, but I will demonstrate a very easy one that makes this project one you can complete from start to finish in the matter of a couple of hours. It has large pockets for storage and hook & loop tape to hold it onto the walker. 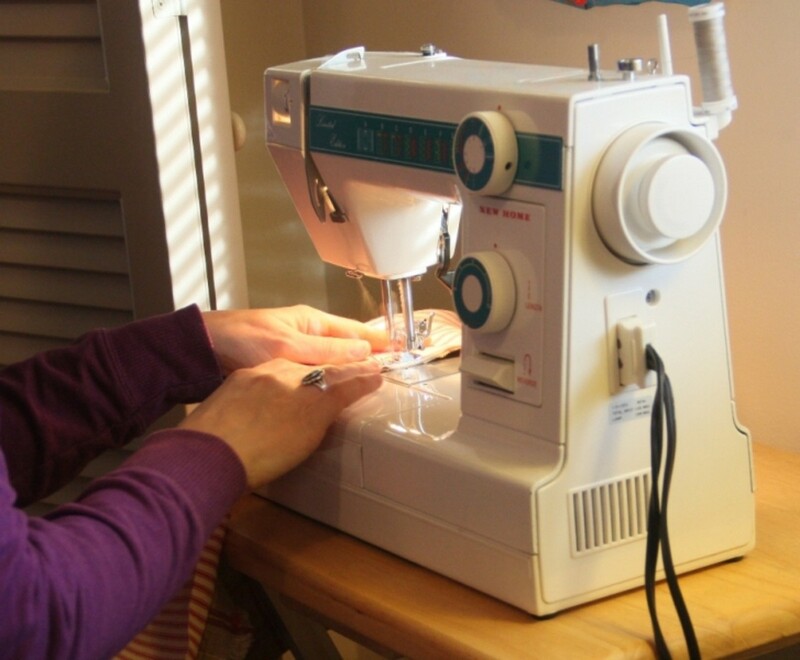 Because this project requires no buttons or ties, it is a great beginner's sewing project. 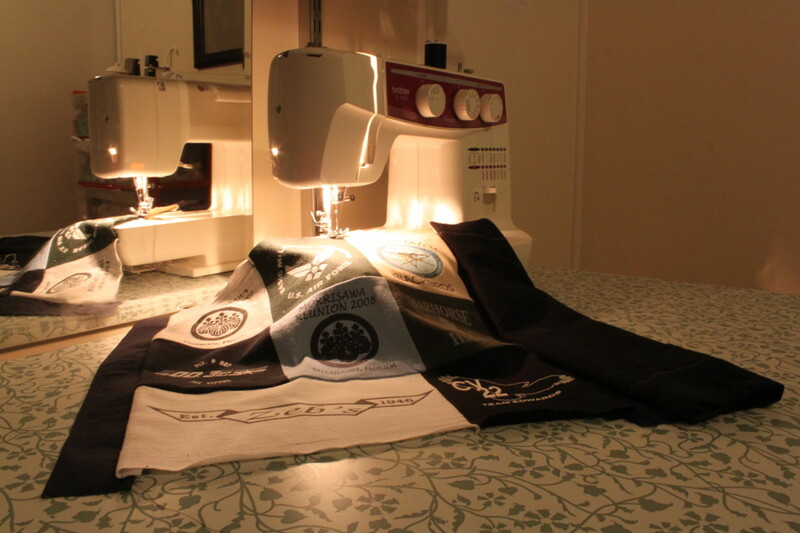 It is also done up very quickly which makes it perfect for charity sewing groups to construct assembly line style. This page starts with a video overview so that you have the general idea of how the project develops. Then I walk you through the steps in more detail with photos and written directions. 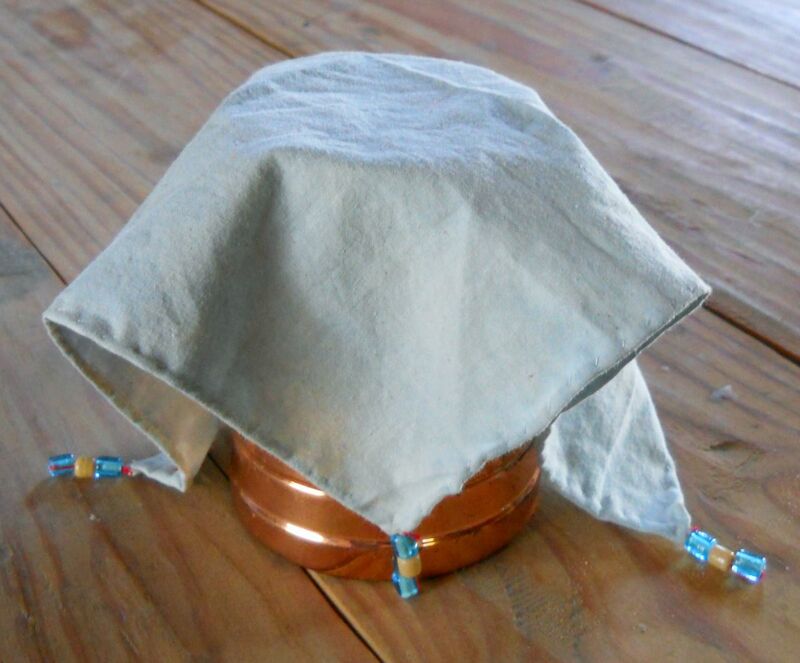 The supplies needed for a walker bag are minimal and can use remnants or repurposed cloth. 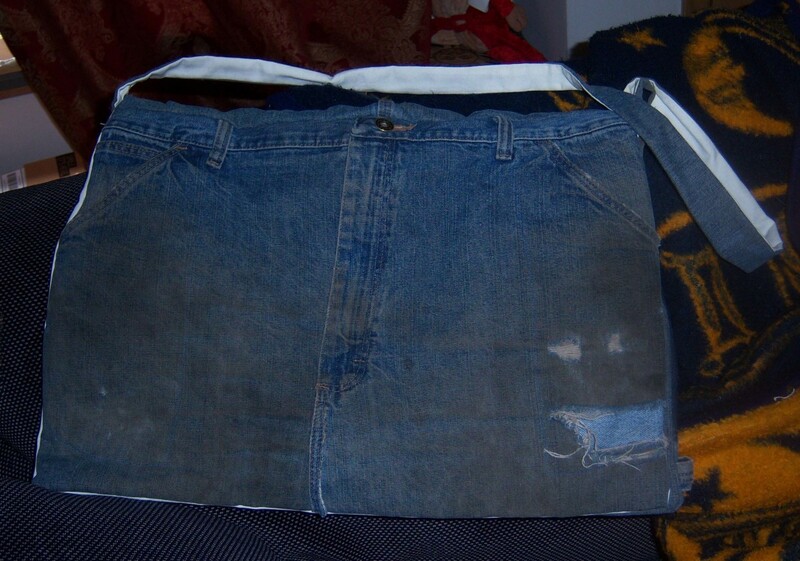 To make a walker bag, you need two pieces of fabric that are 14-15 inches wide and 43-53 inches long. The fabric can be identical or contrasting. I like the look of the pockets and the background being different, so I am using two complementary but different fabrics in my tutorial. 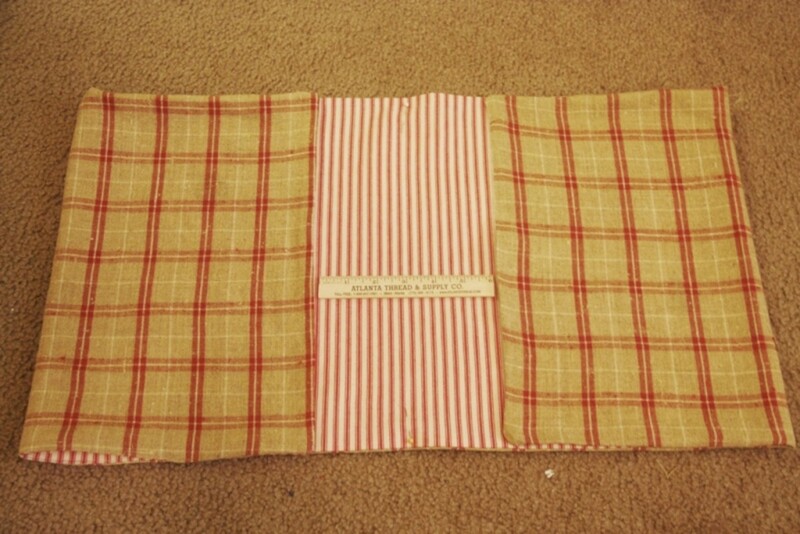 I am using a very thick cloth -- the stripe is canvas and the plaid is an upholstery fabric. Although the thicker fabrics are a bit harder to work with, they offer a very nice finished product that is more durable and able to hold heavier loads without sagging. You will need 6 inches of sew-on hook and loop tape (Velcro), cut into two 3 inch pieces (four pieces when you separate the hook side from the loop side). And of course you will use thread in an appropriate color. Once your fabric is cut to the size you want, pin right sides together and sew all the way around, leaving an opening large enough to turn the tote inside out. I made my opening about 6 inches long. When the sewing is complete, trim across the corners to make them easier to turn. At this stage, I prefer to iron my seams open as best I can. Even though I can't iron them perfectly, I find flattening the seams a bit helps me to get a nice crisp edge when I turn the walker tote right side out. This step is optional if you don't find it helpful. 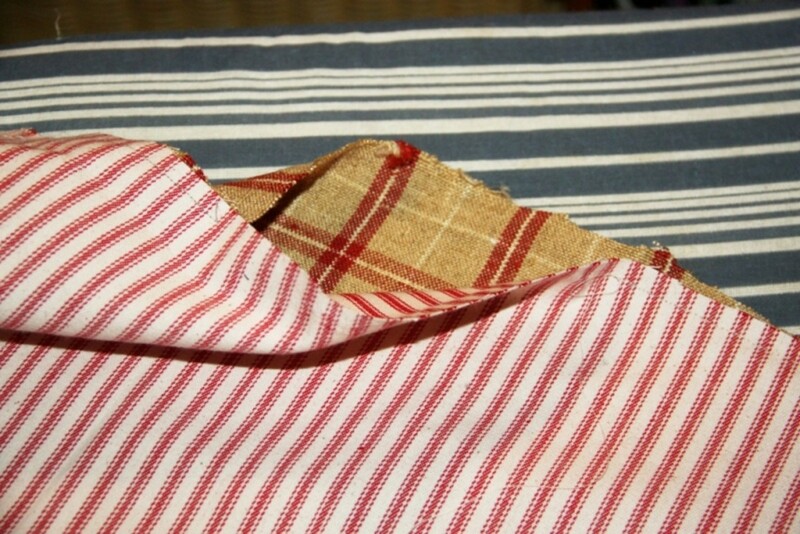 Once the tote is right side out, iron it thoroughly so that the edges lay flat and the corners are as square as possible. I find a chopstick helpful for pushing the corners out. 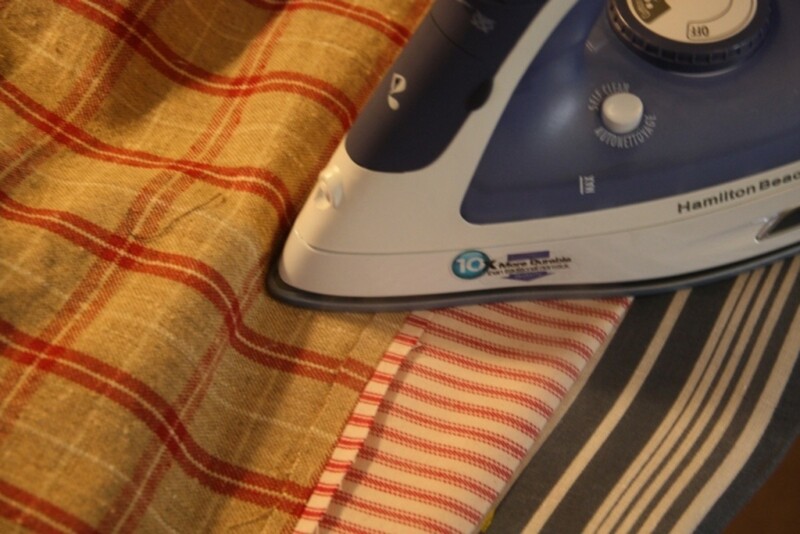 For the opening, simply iron it as if it were sewn, with the right edges turned under. On the back side (inside) of your walker, pin down the three inch hook and loop (Velcro) tabs and sew them into place. Measure the center of the walker tote. The hook and loop tape should be sewn five inches from the center and 1 ½ inches from the side. See the diagram above. Who Is Your Walker Tote For? What will you do with your walker tote? I am donating it to a nursing home, rehab center, or other charity cause. I am making it for a friend. I am making it for a relative. I am making it for myself. I probably won't make this; I'm just visiting your hub. Don't worry about the opening. It will get sewn up at this point. 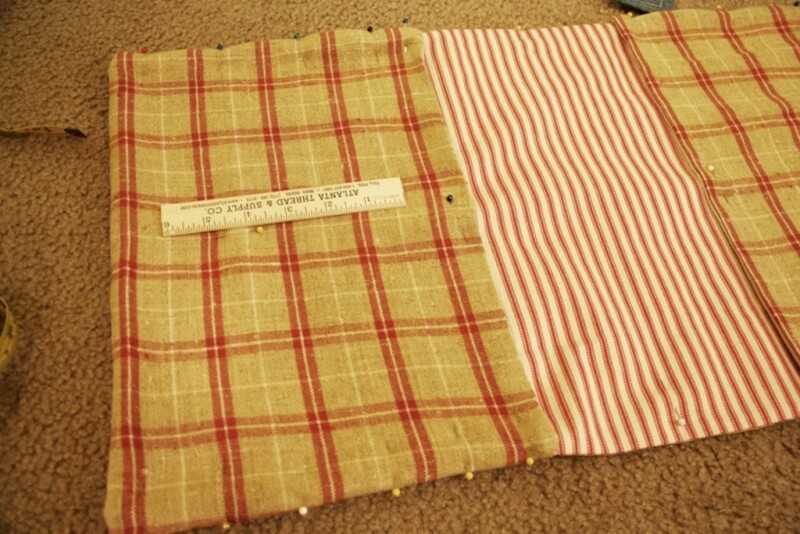 Fold up the ends of the fabric to make pockets on both sides. Measure it so that the pockets come up the same distance from the center. 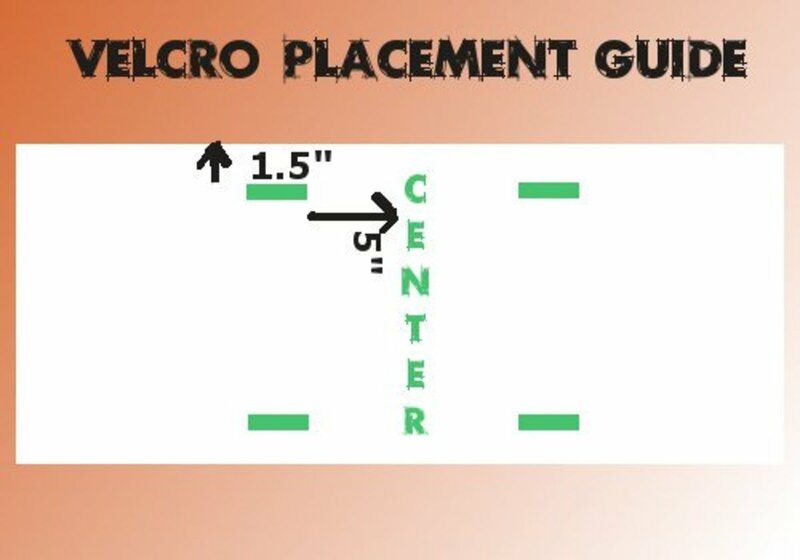 The pocket depth can vary, but generally you want the pockets to come up to the level of the top of the Velcro, hiding the stitching underneath. That means the top of the pockets will be five inches from the center of the tote. 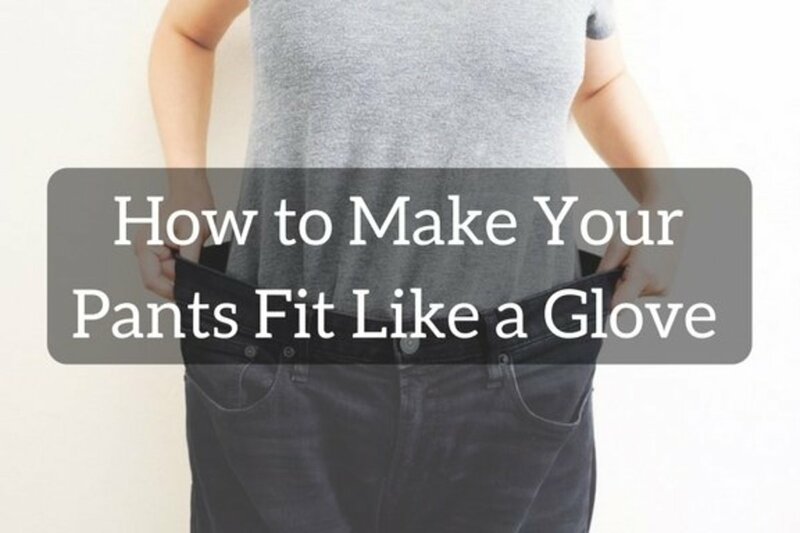 Pin the pockets into place along the sides, matching the edges carefully. 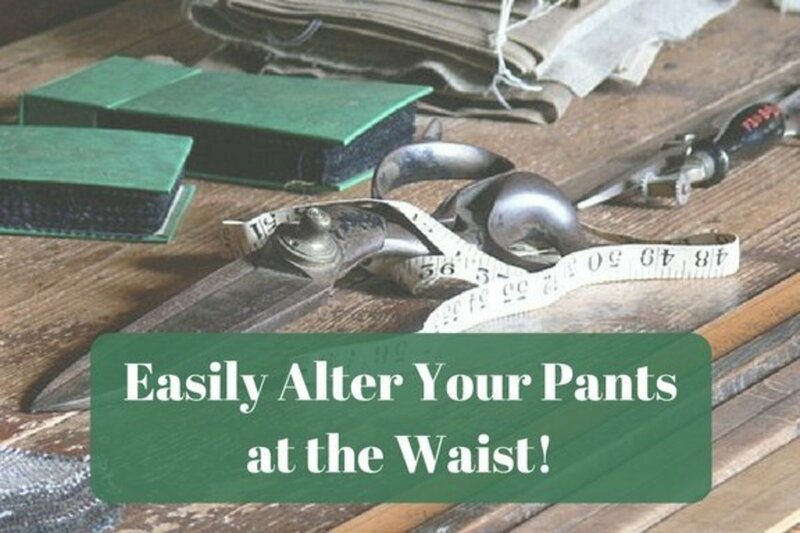 Then sew a straight line from the bottom of one side, across the pocket, over the middle section, and onto the pocket on the other side. This straight line of sewing should be close to the edge. It will lock in the opening you left to turn the tote right side out. Repeat this straight stitch for the other side too. 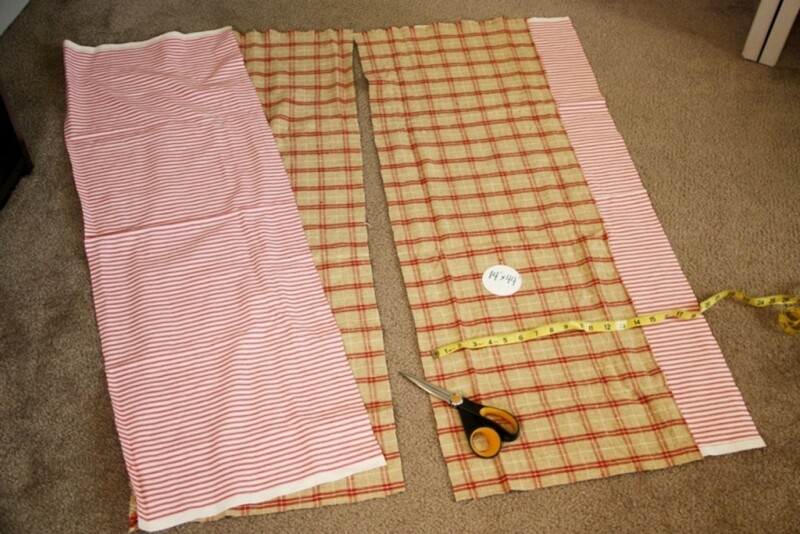 Then sew straight up the center of each pocket to form two smaller pockets. Be sure to reinforce the top of the pocket with some extra forward and backward stitching that goes well past the edge of the pocket. You want the pocket to be able to withstand the weight of whatever it carries. Now your walker tote is done. All that is left to do is trim all the stray threads and possibly give it another go under the iron. 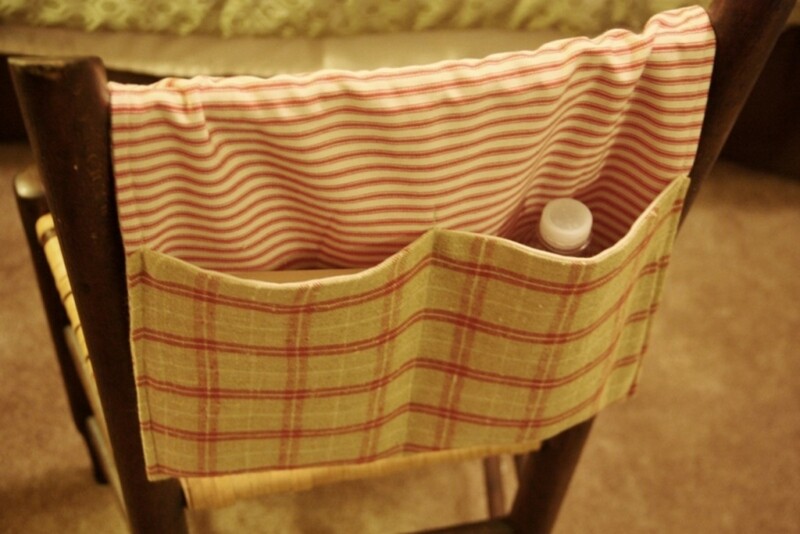 Drape it over the back of a chair or towel bar to test it out. Does the Velcro match and hold it in place? Does it hold a bottle of water or a book easily? You can now use your walker tote yourself, give it to a friend or relative, or donate it to charity such as a nursing home or therapeutic clinic. This tote is similar to my own because it uses Velcro. This tutorial uses buttons, so it is quite a bit more complicated than my design. Imagine needing a walker to get around. Now consider how you would carry a purse or backpack if you were unsteady on your feet. It would be a nuisance at best and a danger at worst as it shifted its weight on your body. With a walker totebag, the burden is placed where it belongs -- on the metal bars of the walker -- and not on the shoulders or back of the person already struggling to walk. If making a walker tote seems too much trouble, there are plenty of talented seamstresses online who would love to sell you a premade one. See the patterns and styles available at eBay below. Thanks so much for the pattern! Easy to follow directions! Making this for my mother. Thank you for this easy and quick walker tote. I am making it for a dear friend of mine that has to use a walker to get around. It will be handy for her to care items with her from place to place in her home because she is by herself a lot. Thank you so much. A friend asked me to make a "tote in a hurry" for his daughter "in a hurry" as she is coming as she is coming up for Thanksgiving and he has bought her a walker to use when she visits his house. I appreciate your simple pattern and easy to use directions! Thank you again!! The newer version of my pattern, revised several years ago, does not require binding. Using the option of unlined heavy decorator fabric does require binding, but you need only a single fabric. THIS IS 100% AMAZING PATTERN, WELL WRITTEN & O PERFECT WHEN FINISHED—MANY THANKS. A million thanks for this tutorial. I started a few years back making them for friends. 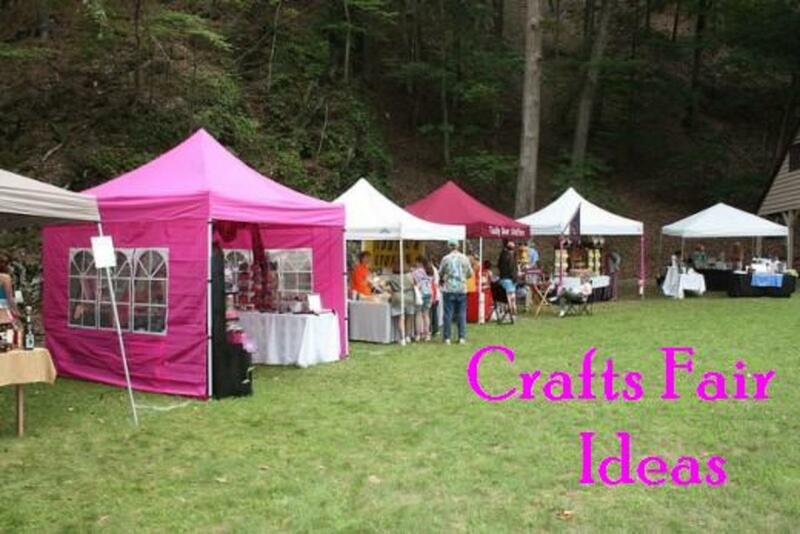 They became so popular that I've made them for church and hospital volunteers' fund raisers, and nursing homes. I buy fabric remnants at thrift stores, usually upholstery pieces, add pretty trim, and they are works of art. Have made a few for men, too, in camo or brown/black combinations and stripes. You are my hero! Thank you do much for this tutorial. If you ever wonder if what you do makes any real difference, I am here to tell you it does. My quilt group and Christian giving group has made countless (wish we counted), of these walker totes (in fact I made a couple with the exact fabric you used) and have happily delivered them to many nursing homes. Later when my own MIL started living in a nursing home I was so happy to bang out piles of them for her "neighbors". Thank you for being so kind in offering up this tutorial! Bless you lady! Thank you for a GREAT tutorial! I made 3 walker pouches. I used a stiffener in mine to give it more strength. I also added side straps to tie to the side legs of the walker so that the pouch does not swing back and forth and hit the walker. GREAT instructions! Thank you for making this FREE! Thanks for this easy and well done UTube. This did go together quite fast. I used fusible fleece inside make it a bit more stable. Worked well. I have made my mom two of these using your tutorial. Getting ready to make one for the Christmas season. Thank you for the easy to follow tutorial. Thank you for the quick and easy tote! When I made one for my mother-in-law, I put a zipper in it. She never carried a purse again. Last week after my husband had knee replacement surgery, he asked for one. It took me longer to decide on the fabric than to actually do the sewing. What a practical thing to give someone with a walker. It is simple enough to make. Thank you so much! I made one for my mother who is in a nursing home and since then, I have made three others for other residents who asked where I got it. I told them that a "nice lady on the internet" donated her pattern for free, so I'm make them one for free. Thanks again! what a great project! I made one today and it looks so professional! It's for my mother-in-law in a nursing facility in MO. I am taking it to her as a gift and I know she'll be pleased. Thank you! 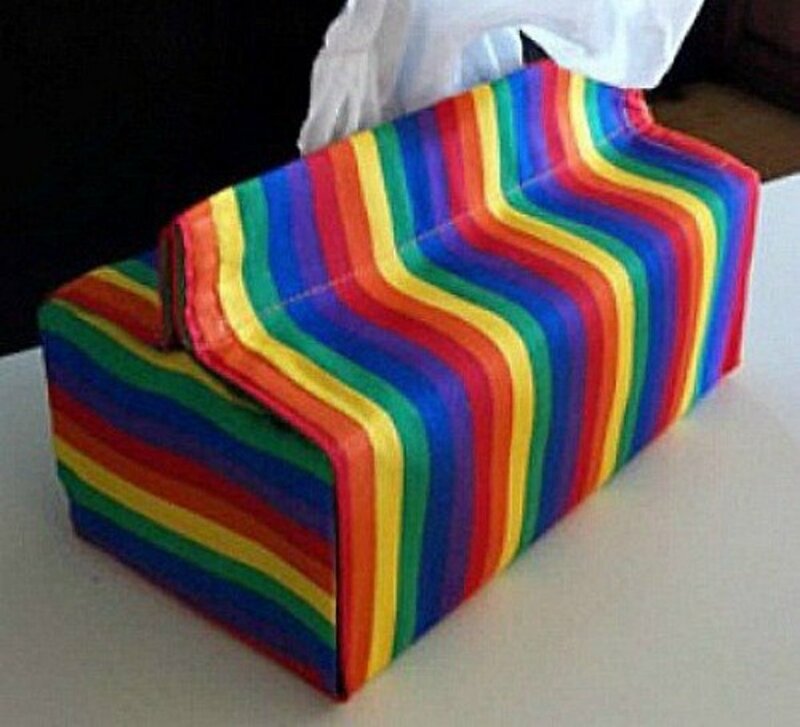 I made one of these for my sister-in-law with some quilted fabric, lined with a nice bright broadcloth. She lives in senior housing and walks to the dining room, had no way to carry her 'essentials.' She absolutely loves it! The tutorial is wonderful, and I was very pleased with how quick and easy it was, and especially with the finished product. I plan to make some for our hospital auxiliary Christmas bazaar. Thank you so much! I love how simple this is! Thank you! 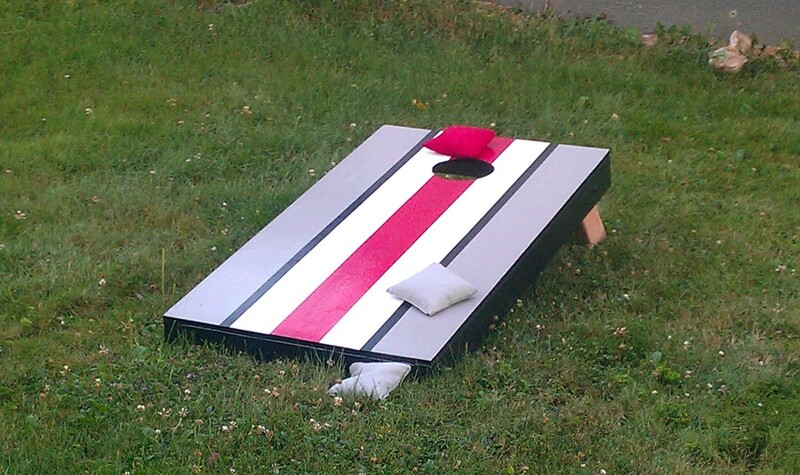 I'm going to make this for a family member, and I know she will greatly appreciate it. I have seen these used, didn't know what they were called nor how to make them. You have cleared the mystery, voted up useful and shared! Hi Jimmie - this actually looks like something I could do. My grandmother taught me how to sew many years ago. I never did anything with it as I got older. I would love to pick it back up now and make some really neat things. I may actually try this. Thanks for sharing!